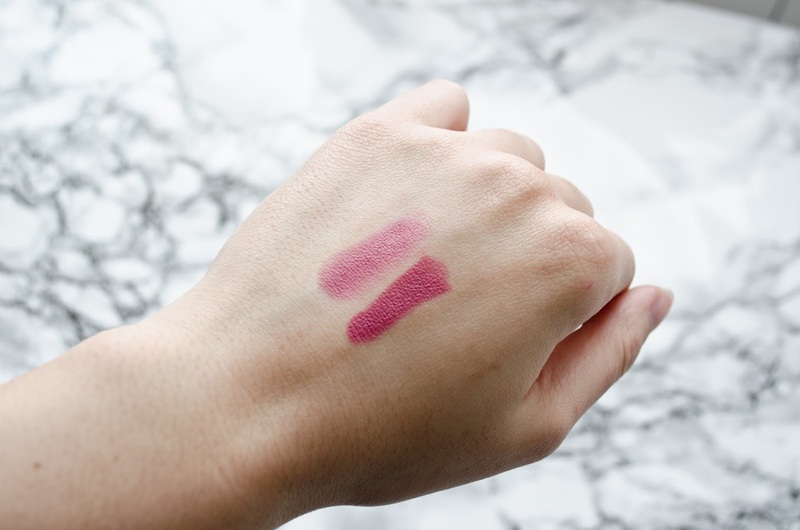 Can you go from a creamsheen finish to matte one in a single swipe? Saturated Colour just released this magic product that does exactly that. It's called Make Me Matte* and I was kindly sent this to test and report back to you guys. 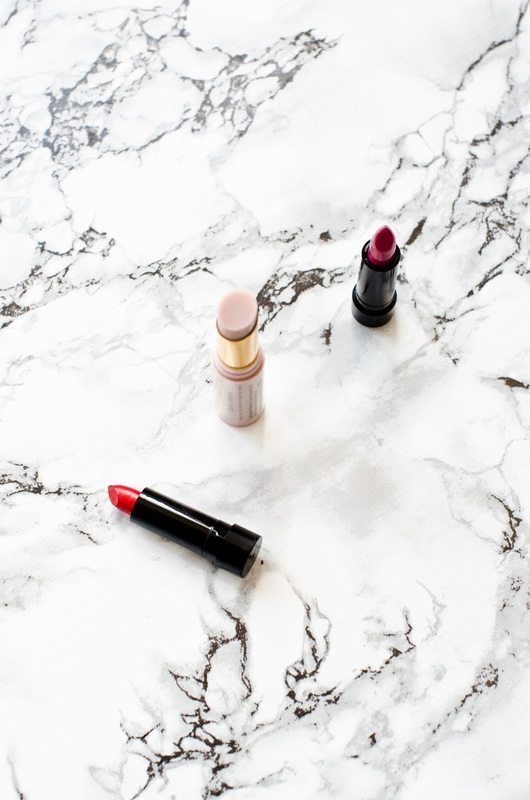 I often struggle with my lipsticks because as much as I love satin or more moisturising lip products, they do tend to bleed easily and often don't last longer than 2 hours on busy days. I also prefer comfortable lightweight lipsticks rather than drying ones and that can be hard to find. 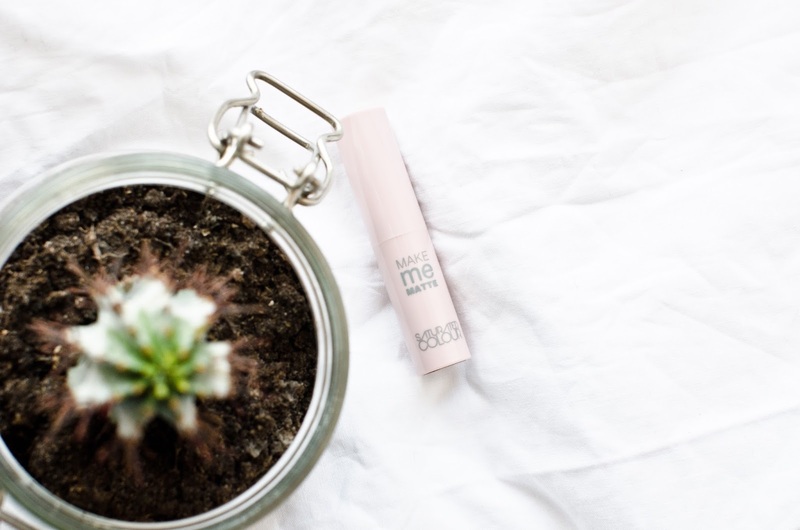 Make Me Matte looks like a lip balm but you literally apply it on top of any creamy lipstick to visibly see the finish of it change. It's kind of intriguing to witness. I like the fact that this magic wand provides a diverse prospect for all us beauty lovers - satin one day, matte the next, especially if you're on a budget and you wouldn't want to buy the same shade twice just to get a different effect. It's not messy, it's affordable (only £8.00) and it works. The only thing I noticed is that it can transform the colour a little bit, making it lighter. In that case I just tend to layer; lipstick - matte me - lipstick - matte me, and it stays on for ages. Personally I would advise to tap on the lips rather than swipe, especially if you're wearing darker colours and you want precision on the edges but other than that I really can't find any faults with this. I like the after shade a lot. Suits you. It does sound like an interesting product! I don't like the new name they have come up with for the brand, i definitely preferred the old one. Oh this looks interesting! A much more affordable version of the Smashbox one. Not that I've tried the Smashbox one! I didn't even know smashbox did something like this! This sounds really cool! I find matte lipsticks so hard to wear because my lips get so dry so this could be a good alternative! What a cool product! It definitely changes the colour a little, but they both look really nice. I think I will be getting this product.